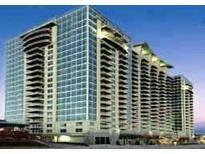 Find Buckhead Atlanta, GA Homes for sale. View Photos, Maps and MLS Data Now! Eclipse Buckhead - And Your Just Steps From Atlantas Premier High-End Luxury Shopping Destination Buckhead Atl. MLS#6539767. Engel & Volkers Atlanta. Buckhead Collier Forest - Near Phipps, Lenox, Ga400. Fabulous Public Schools MLS#8565989. Keller Williams Rlty First Atl. 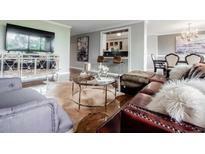 Meridian Buckhead - 24 Concierge, Guest Suites, Deluxe Gym, And Rooftop Swimming Pool, And Onsite Management Make This Move-In Ready Condo The Best Deal In Buckhead! MLS#6537307. Bhgre Metro Brokers. 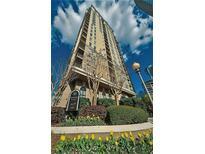 Eclipse Buckhead - New Carpet In Bedrooms, Hardwoods In Great Room And Fresh Paint Throughout! Motivated Seller. MLS#6535983. A Better Choice Real Estate. 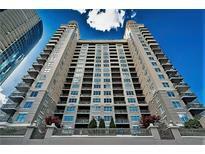 North Buckhead - Minutes Away From Phipps Plaza, Lenox Mall And Ga 400! MLS#8561088. Ansley Atlanta Real Estate. 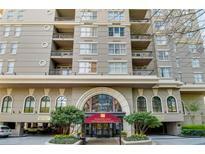 The Oaks At Buckhead - 2nd Bath Offers Large Shower, Min To Lenox & Phipps Mall As Well As Many Restaurants & Cafes. MLS#6534749. Atlanta Fine Homes Sothebys International. 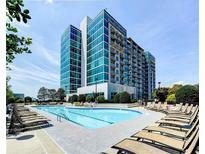 Meridian Buckhead - Gorgeous Roof Top Pool With Amazing Buckhead/Dowtown Views. Connected To Events Room. MLS#6535361. Realty Professionals, Inc..
Buckhead Collier Forest - Well Positioned For Entertaining, All Schools, Shopping & Restaurants In Buckhead. MLS#8560751. Atl.Fine Homes Sotheby'S Int..
Meridian Buckhead - Amenities: 24-Hour Concierge, Gym, Rooftop Pool, Library, Billiards, Theater, Putting Green, Fire Pit & Much More! MLS#6533972. Beacham And Company Realtors. Buckhead Collier Forest - Steller Location Close To Renown Buckhead Shopping And Restaurants. Schools, Schools, Schools. MLS#6532177. Atlanta Fine Homes Sothebys International. Buckhead Collier Forest - Outdoor Entertainment & Covered Pavilion For Movies On The Lawn, Fire Pit & Grilling Station, Gym, Dog Park, & Community Garden. Model Home Pictured. MLS#6532479. Ansley Developer Services, Llc. Buckhead Collier Forest - Plus Community Garden, Compost Station, Dog Parks, New Club Room & Gym. Model Home Pictured. MLS#6532490. Ansley Developer Services, Llc. Buckhead Collier Forest - Plus Community Garden, Compost Station, Dog Parks, New Club Room & Gym. Model Home Pictured. MLS#6532474. Ansley Developer Services, Llc. Buckhead Collier Forest - Plus Community Garden, Compost Station, Dog Parks, New Club Room & Gym. MLS#6532485. Ansley Developer Services, Llc. Buckhead Collier Forest - Minute Away From Shopping, Public/Private Schools & All The Amenities Buckhead Has To Offer. 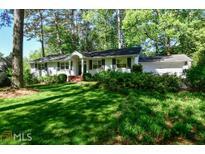 MLS#8557660. Ansley Atlanta Real Estate. 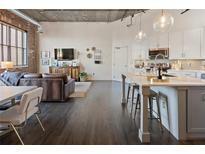 Meridian Buckhead - Walking Distance To Shops And Restaurants. MLS#6530418. Williams Group Realty, Inc..
Meridian Buckhead - Building Amenities Include Library/Conference Room, Outdoor Kitchen W/Firepit, Grill, Putting Green, 2 Guest Suites, Theater Room, Gym, Squash, Pool, Events Room, Billiards Room, And 24/7 Concierge. MLS#6529986. Bhgre Metro Brokers. 5 Star Amenities, 24 Hour Concierge Service Including Sky Lounge Salt Water Pool. Great Price! MLS#6527545. Re/Max Center. Eclipse Buckhead - High-End Luxury Retail & Destination Dining Are Just A Stroll From Front Door. Unit Includes Storage Space. MLS#6527092. Engel & Volkers Atlanta. Buckhead Forest - Steps From Atlanta’S Best Restaurants And Shopping. MLS#8552534. Simple Showing Inc.